What Are Those Square Things? 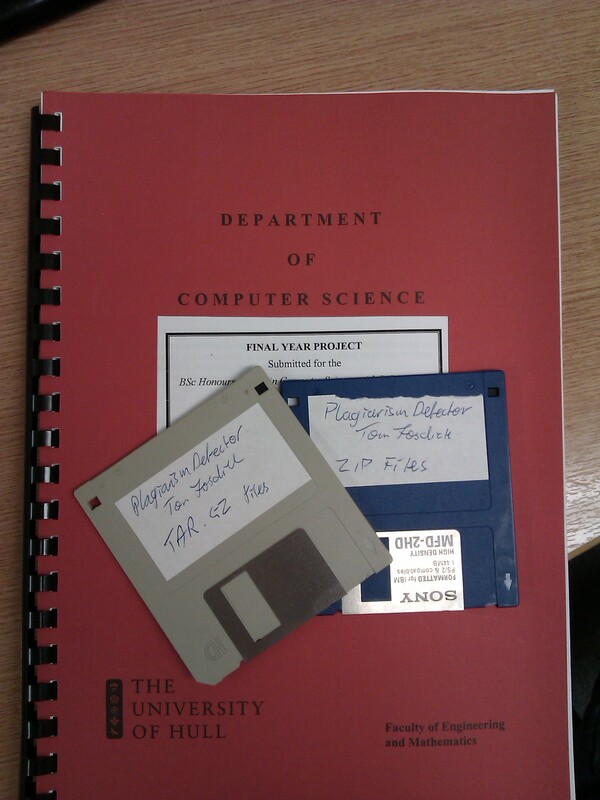 So I was looking for something in the rack behind me in the office when I came across my final year project from my first degree. I thought it might be fun to look at the project again and I wondered if it’d still run. I ran into a small issue though, I no longer actually own anything that can read a floppy disk. C’est la vie! This entry was posted in Life, Technology on 2013-08-07 by Tom Fosdick.